I spent two years in Scotland so here are my reflections. Modules like Developing Linguistic Competence which was supposed to last ten weeks ended after five weeks. Similarly other modules like Language Testing and Research Methodology also lasted five weeks. This was due to the fact that the grades had to be handed in by early June 1994. Lecturers were busy with the tasks as external examiners. As for me this was a relief because for one, I hated boring lectures and sitting in the class for hours. I preferred doing my tasks alone either in the library or in the computer rooms. The second half of the third term allowed more free time. After handing in the assignments I went shopping for clothes, souvenirs and chocolate which I planned to take home during the summer break. Due to the encouragement from my colleagues and friends, I applied for the post of student warden in the halls. I got the necessary forms, filled them and handed them in and waited for the outcome. 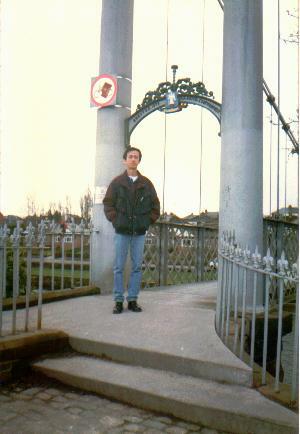 Two weeks later I was called for an interview; on 16 May 1994. At the interview, a lot of questions were asked by four ladies; Miss Marjory McCallum, Miss Carter, Miss Catherine Walker and Miss Christine Gordon. I answered them as far as possible and left the room after about fifteen minutes. Come Friday and I received a reply informing me that I was unsuccessful. I was not disappointed but relieved because if I had been selected, I would have to sacrifice a lot of my free time at the halls especially in the office, working and helping out. Now that I was tied down, I had more free time and I could do my own leisure stuff. On the other hand I should and had thanked Lee Leng Song, my senior who recommended me to Mike Quickfall for the post of Open Access Supervisor. This was a post where I was in charge of the computers after office hours that is from 5 pm till 8.45 pm. I worked on rotation that is once a week or the most twice a week. I had the opportunity to help others and at the same time practice and perfect my computer skills. At the end of the day at 8.45 pm I had to shut off all the computers, lights and lock the rooms. It was not a difficult job and I thoroughly enjoyed it. Finally bidding goodnight to the janitor, I would walk back to the halls. The dinner would be packed and left in the kitchen for me. I would inform the guard and get my dinner; usually a piece of chicken, fries, potatoes and salad. There would also be a fruit; an apple or an orange. After a warm shower, my dinner would be ready in the microwave oven. The late dinner was most welcomed. Upon reflection, I feel a great sense of achievement because I have achieved something which I had wanted to do back in Malaysia, for many years. Back then in 1993, I even enrolled for a course that is Computer Programming in Ipoh. I asked and enquired the cost of the whole course, the duration and the time table. It was to be held between 7.00 pm till 9.00 pm. This was very inconvenient as school was only over at 6.45 pm; meaning that I had to rush to attend the course. The blessing came in Moray House where one of the modules or requirements was efficiency and use of the computers. It was also free; meaning I do not even have to burn a hole in my pocket. During the two months of pre-sessional course in MPIK (Maktab Perguruan Ilmu Khas in Kuala Lumpur, prior to leaving for Scotland, I felt rather out of place and nervous too. I had no knowledge of computers and I was totally naïve. Many of the other course mates had some knowledge of computer language and usage. Some of them even went for a two weeks crash course in Kuala Lumpur; at one of the computer schools. I also signed up but due to the limited places, I was left out. This made me even more afraid; as I thought I would be left out and may even not be able to catch up with the others over in Scotland. Luckily and I would like to thank Moray House and the staff of the Maths and Computing Department for helping me acquire this level of computer competence. In fact I may even boast that I was far ahead of others in this aspect. Many would come to me for advice and to get help in computers. Right on the night of the video session, I had a bad feeling. It was partly due to the fact that I did not take the daily dosage of Vitamin C as I had to rush to college each morning. The lack of water was also a cause. Secondly I had the misfortune to consume wine because it was Steve’s birthday that very night. We drank too much and that that was the cause. The following morning I had a terrible sore throat, dry and full of phlegm. It was unbearable. I coughed and coughed and each morning I threw out thick yellow mucus. The cough persisted right until the first week of the third term. I should have gone to get some medication from the pharmacy but I was hoping that it would go away. But it did not. Out of sheer frustration I went, in the middle of the second week to get a bottle pf cough syrup. After two days of constant consuming the medication, the cough disappeared. I was relieved of the constant coughing and the dry and irritating throat. During the dew days of the break I visited the library regularly to get material and books for the assignment. I finished all the tasks as usual and had them typed, word-processed and printed. The three week break went by so fast and it was back to college for the third term. The final term was only for five weeks due to several reasons. This was a long break of three weeks but I was rather happy because I could use the time usefully to finish all the assignments where were to be handed in after the break. At times I wondered if I was doing the right thing. I would finish all my work earlier than the others and I enjoyed my nights watching videos. Talking about the videos, this time I headed a committee in choosing videos to be screened, get the TV and the video from the TV room, switched them on and at the end of the session, get the equipment back to the TV room. Initially it was team work but as the days went by it was a one man or just two man job. Luckily I had a good friend, Steve Lisik from Slovak Republic who was kind enough to help me each night. The others in the team either came late or retired early to work on their assignments. This was not about complaining but as a team I would prefer a fair share of duty. I tolerated their excuses because I did not want to make an issue of this matter. Anyway there and then I made up my mind not to volunteer in such matters in the next academic year. I would leave it to the others so that I could do my own stuff. After the school experience or placement, came the rather tedious task of putting all the information into a neat and tidy package which had to be handed in to Patricia Ahrens, the course coordinator. There were data collections, with charts, handouts, photographs and with a written assignment. Everything was to be put into a file with proper sections. When I came back to college after the placement, lectures continued and the usual assignments was the talk of the class. The rush for books in the library was on again. Everyone was practically searching for books frantically for the next few weeks. Two of the assignments; School Experience and Understanding Organisation were to be handed in before the term ended. Luckily with the understanding and consent of Patricia, the date due for her assignment was extended another week, thus giving us more time to complete it. 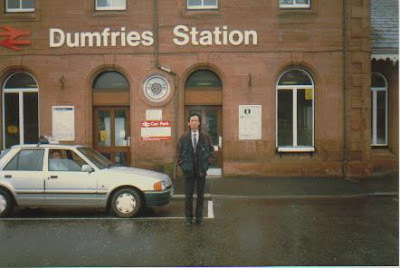 The secondary that I had to go to for the placement was in Dumfries a three hour train journey from Edinburgh. The school was Dumfries Academy, a well know school in Dumfries the town where Robert Burns was buried. 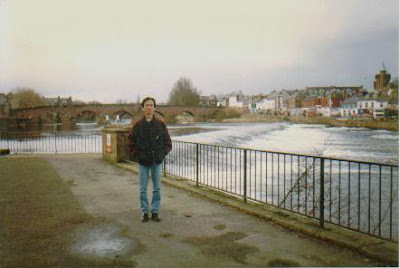 Because of the distance I could not travel daily so I had to spend two nights in Dumfries. I left on Wednesday morning by taking two train journeys; Edinburgh to Glasgow and from Glasgow to Dumfries. Upon reaching, the first thing was to look for accommodation; a B & B was most convenient. Together with Bala, a colleague, we wandered from one lodging to another. As we had not made any prior reservation, we had great difficulty finding one. 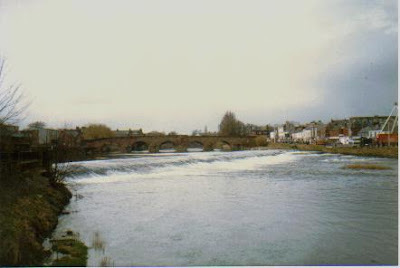 Finally with the kind and friendly owner of a hotel, we managed to locate a room in a B & B; the name was Galowa’ View which overlooked the Dumfries River. Mrs Cameron, the owner was really kind and helpful indeed. After checking in, we dressed and reported at the academy. It was a ten-minute walk from the B & B. we met the assistant head teacher Mr. Douglas and he directed us to Mr Howard Kelly, the head of the English department. We were given the time table for Wednesday, Thursday and Friday. After the day was over, we returned to the B&B, changed and wandered around the town, looking at the various shops and to decide the place for dinner. 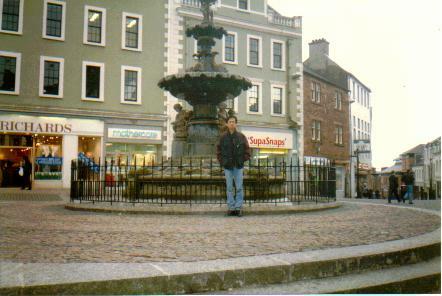 We decided to have a Chinese meal for the first night and an Indian dinner for the second and final night in Dumfries. 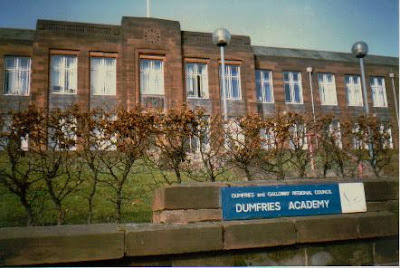 The visit to Dumfries Academy was a hectic one as two days were not enough to gather so much information that was required of the module or assignment. 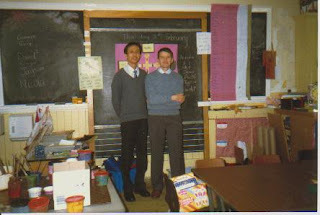 I collected a lot of handouts, asked around for facts and information, took plenty of photographs, and observed classes; English and modern languages like French and German. It was a wonderful experience and if I had the opportunity I would definitely spend more time here. Friday finally arrived and we left Dumfries after a lunch paid for by Mr. Kelly. We boarded the 3.30 pm train at Dumfries and reached Edinburgh at 6.30 pm. Just for information, the Robert Burns Centre is located in Dumfries. Robert Burns was a famous Scottish writer who penned many patriotic poems and stories about the struggles of the Scottish then. This was where he spent his last few years and he was buried at the mausoleum not far away. At the centre one can see artifacts and a fine display of his famous works like poems, and short stories. The only disappointment was the rather bad weather; not the snow but the rain and sleet that made our tour of the town rather uncomfortable. 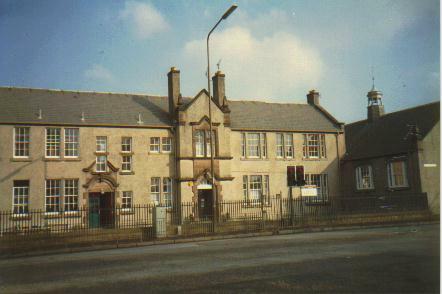 Life in Dumfries ended around 6.30 pm and we had to retire to bed early after watching some TV programmes in the room. On the other hand breakfast provided by Mrs Cameron was sumptuous and delicious and I thoroughly enjoyed the hospitality. There was tea and coffee in the room itself so I had plenty of refreshment. 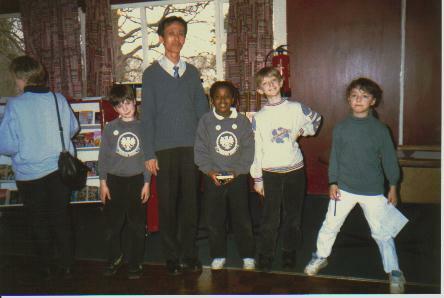 Apart from the lectures, I had to spend one week or five days at a primary school as part of the course requirement. 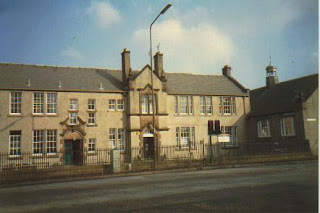 The primary school was Balgreen Primary which was a 30 minute bus ride from the halls. The first day at the school was rather exciting and I was also uncertain as to what should be done and how to go about gathering data and information that was specified in a booklet given to me. Initially I carried out casual observation and taking notes of whatever I could find in the class. 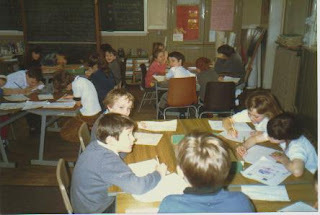 The class that I was given was P5A under the guidance of the class teacher Ms Lesley Reid. She was always busy and in total control of the class. I was sure she was a good teacher; dedicated and successful too, as she planned her lessons well. This was reflected in the pupils in the class as they knew what to do and how to go about doing the tasks given. The greatest difference between this class and that of schools in Malaysia was lessons were or are integrated around a central theme. When I was there, the theme was “Vikings – life in the middle ages”. Other subjects like language, Maths, History, Arts and Environmental Studies were integrated around the theme. 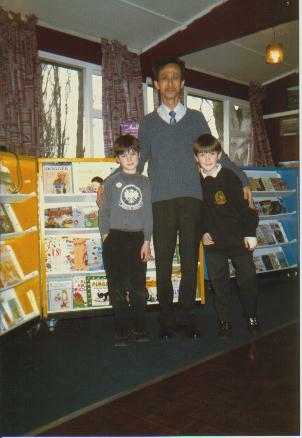 Teaching aids and reading materials were readily available either found in the resource centre of the school or on loan from the resource centre in Edinburgh. This enabled learning and teaching to progress well. By the second day till Friday, the last day of the placement, I had adapted and got to know the staff and most of the pupils. I was happy that my presence was welcomed and was in no way an obstacle to their daily chore of teaching and learning. 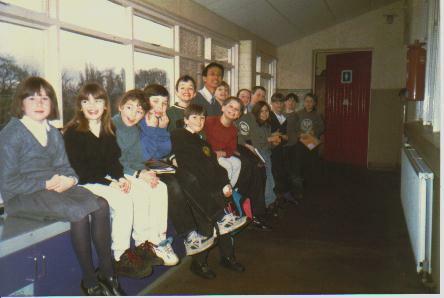 The pupils were a delighted lot. I really liked them although I did not have a lot of time to spend there as the lessons were packed with work and short recess. School hours were from 8.50 am till 3.30 pm except on Wednesday from 8.50 am till 12.45 pm because of the weekly staff meetings. Honestly I was really happy to be placed here because of the casual and friendly atmosphere. I had come to know the head teacher, Miss Catherine Douglas, Deputy head teacher, Mrs Jalloway, Assistant head teacher, Mr. Head and Mrs McDonald who at one time spent quite a number of years in Malaya before independence. She had toured and stayed in Ipoh, Kota Bahru and several places due to the nature of her belated husband’s work as a geologist. 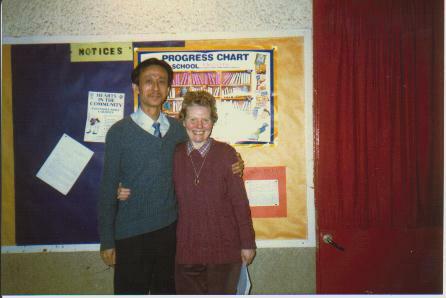 Then there was Mrs Allen, a learning support teacher who was most helpful and gentle to her pupils; being slow in academic subjects like English and Mathematics. In a nutshell, I had no regrets being placed in Balgreen Primary as I loved the school, staff and especially the pupils. See the following photographs as testimony. The others always wondered how I could manage to find time to finish my work and relax every night during the movies in the halls. It was just my determination and inspiration to finish work earlier and not to procrastinate. I hate last minute work when I have to rush and frantically search for time to complete any task. The quality of my work may not be up to the highest level but what I believe is to be able to complete and hand in the work required. Gaining knowledge without sacrificing other aspects of life is more important. I prefer an all round development rather than enclosing and restricting myself to only one aspect. Since having been given the chance to be there, I intended to make full use of everything to the best of my knowledge and learn as much as possible. I truly believe the saying ‘all work and no play make Jack a dull boy’.